Brian Eno, musician, composer, and visual artist known as one of the principal innovators of ambient music and generative painting, after almost forty years since the last solo show in Venice, returns to the Michela Rizzo Gallery in Venice. 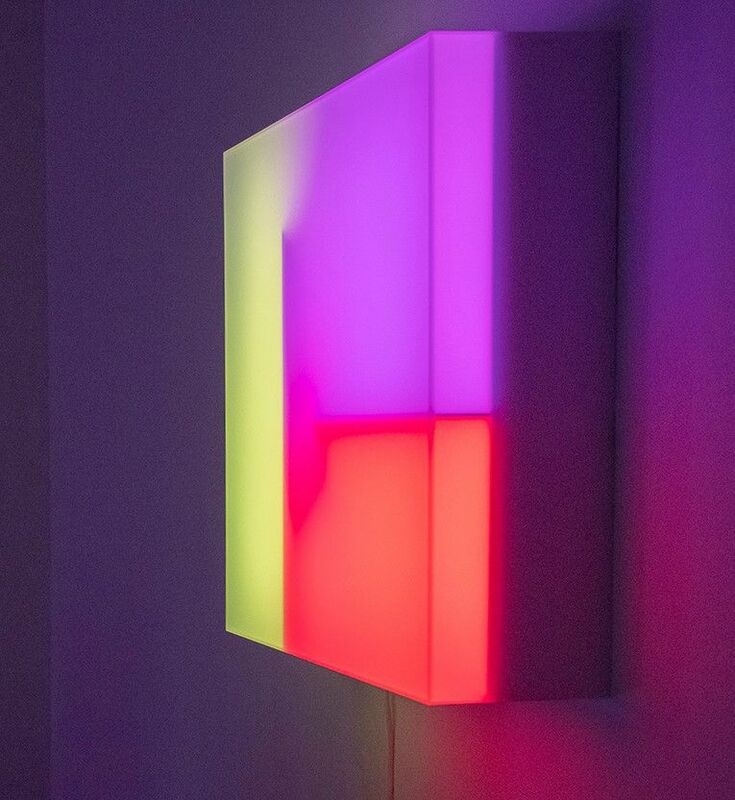 The exhibition will include an installation of Lightboxes, each of which seamlessly phase through an infinite combination of seductive self-generated ‘colourscapes’ using a series of interwoven LED lights, the whole accompanied by a unique musical composition. By extending temporal boundaries with a work that seemingly has no beginning or end, no finality, Eno “encourages people to stay in one place for a while”. “If a painting is hanging on a wall we don’t feel that we’re missing something by not paying attention to it. Yet with music and video, we still have the expectation of some kind of drama. My music and videos do change, but they change slowly. And they change in such a way that it doesn’t matter if you miss a bit”. He will also exhibit a set of Lenticulars, which use a medium by which lenses give his printed image the illusion of both depth and the sense of animation, giving movement to what would otherwise be a static abstract shape, re-enforcing Eno’s notion of a work “which one can look at and walk away from as one would a painting: it sits still and you move.” This convergence of different media is key to Eno’s work, “painting and music have always been interwoven for me. 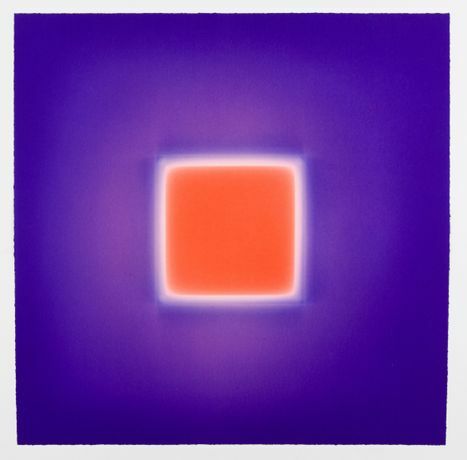 I started playing with light as a medium at about the same time I started playing with sound when a teenager. When I look back on what I’ve made over the intervening years it seems to me I’ve been trying to slow music down so it became more like painting, and to animate paintings so that they became more like music… in the hope that the two activities would meet and fuse in the middle.” Also in the exhibition and at the same scale as Lightboxes will be a set of seven colorfield Etchings. These prints, single images, and static will sit in contrast to the lenticulars and light boxes. No sound, no movement: silent, just color. The Gallery will also present a four screen version of Eno’s seminal work 77 Million Paintings. Born out of an idea to fill the blank space left in peoples home by a blank TV screen, it was originally intended for sale as a program for your home computer to generate the combinatorial images on the screen, by digitising what the slide projectors had been doing. As Eno writes “we scanned all the slides and divided the scans into 4 banks; then we had a piece of software written which would select a slide randomly from a bank, fade it to full brightness, and then fade it out again... and we had the process being applied to each bank. The process was identical to the way the music was working. The first version got the ’77 Million’ name because that was the number of possible combinations of the slides it contained (Light Music, 2016). 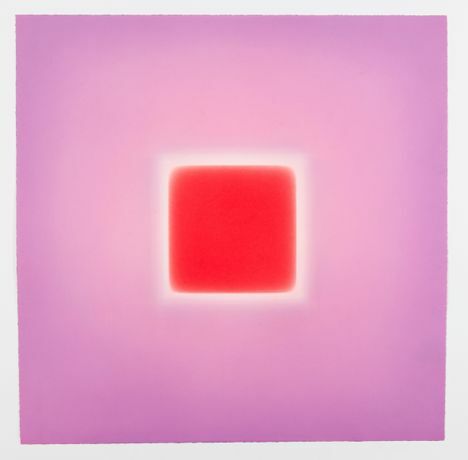 The square, and of course its diagonal iteration, the diamond is a geometrical shape that has throughout history intrigued artists, including Eno who has always tried to combine the dynamism of music with the energy and timelessness of painting. 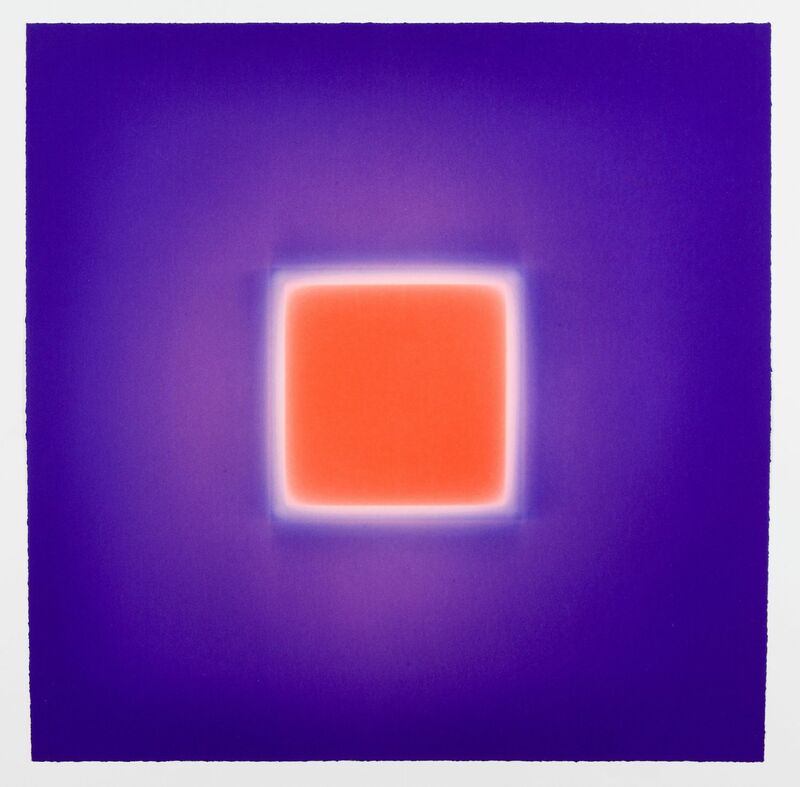 In dialogue with Eno’s work, Galleria Michela Rizzo will exhibit Blue Depth, 1961 by Joseph Albers, a master of Bauhaus and a great innovator of the relationship between light and color, and an extraordinary large artwork by Riccardo Guarneri Angolare ambiguo,2016 which was exhibited at the 57. Mostra Internazionale d’Arte - La Biennale di Venezia del 2017.